March 5, 2018 by Laurie Leave a Comment This post may contain affiliate links, which means if you click on a link and purchase something, I may earn a small commission (at no additional cost to you.) See my disclosure policy HERE. If you missed our Facebook live, check it out HERE. 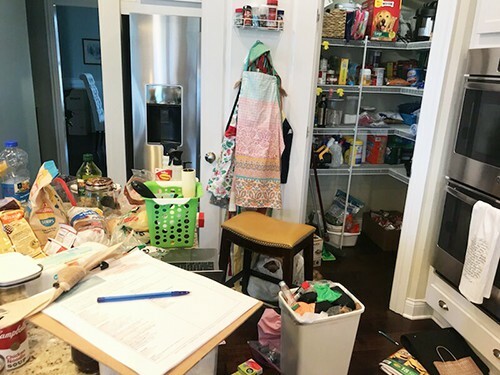 After clearing showing just how much a mess I am when it comes to the Instant Pot (yikes! 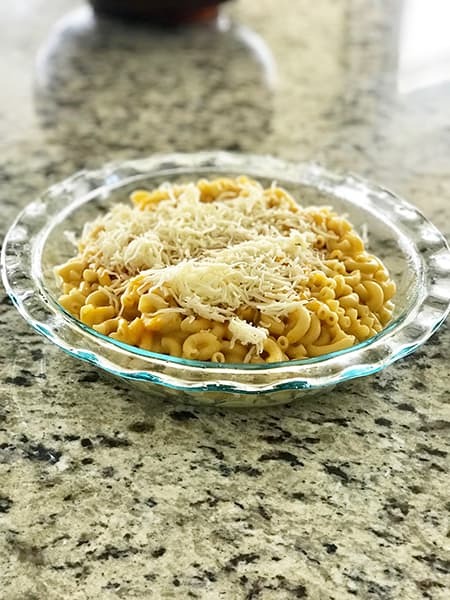 ), I made one seriously divine batch of Instant Pot Mac & Cheese today. If you struggle with getting dinner done, remember that this is the VERY LAST DAY to order the Eat at Home Menu Plans and save 25% when you use the code COUNTERTOP at checkout. These menu plans are WAY less than the cost of a cup of coffee at Starbucks each week, and I know they'll save your time, money and sanity every single day. I PROMISE IF YOU STRUGGLE WITH MENU PLANNING, GROCERY SHOPPING AND EASILY GETTTING DINNER ON THE TABLE, THESE ARE WORTH EVERY PENNY. Last week using the menu plans made my family soooooo much happier~they came home each night and had dinner DONE because I had a plan in place. It reminded me (as it always does!) 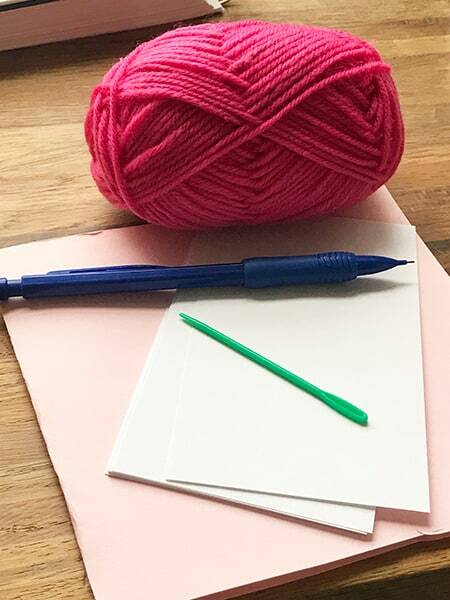 that our home is just happier when I take care of menu planning first, so I'm thrilled to be back on track (and already have my dinner planned for tonight. In fact I'll be making Eat at Home's Mac & Cheese on Facebook Live this morning in the Instant Pot and serving it up with salad and grilled salmon tonight)! Here's what's included when you sign up (I KNOW you will love these, and they'll change dinner in your home)! 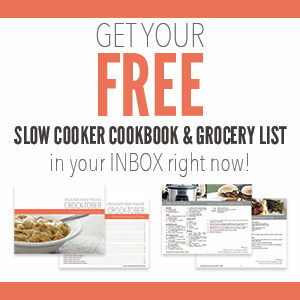 Basically, you’ll get 96 recipes with menu plans AND A GROCERY LIST, all included! The menu plans cost as little as $1.21 per week when you sign up for a one year plan, or try out a 1 or 3 month subscription and see what you think. 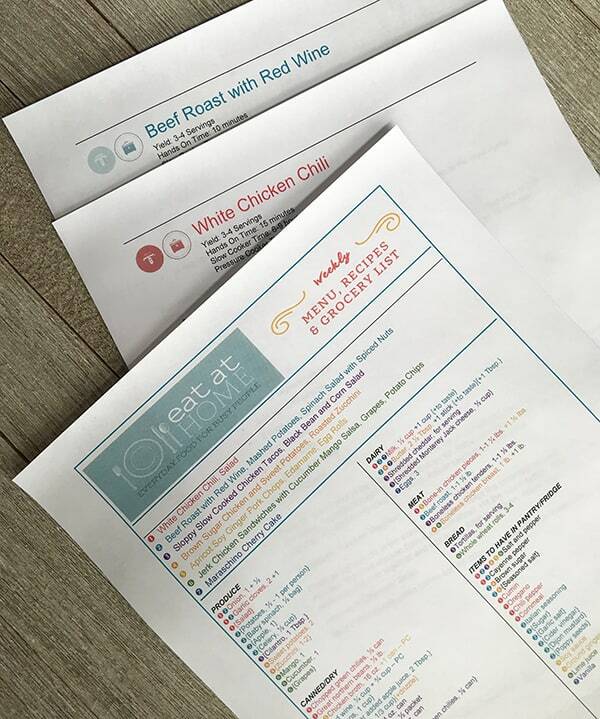 I really do love these menu plans and know you will too! P.S. I almost forgot~if you use the code COUNTERTOP now you also lock in your price on EAH menu plans FOREVER. If you've been on the fence they're worth trying out ~she also offers a money back guarantee, so there's no way you can lose with these! March 2, 2018 by Laurie Leave a Comment This post may contain affiliate links, which means if you click on a link and purchase something, I may earn a small commission (at no additional cost to you.) See my disclosure policy HERE. I am soooo very thankful that my friend Tiffany from Eat at Home spent a few minutes today teaching me how to use my Instant Pot! I'll be honest, after trying this thing out myself I haven't seen crazy success, but I realized it might be because I've failed to take time to read the owner's manual. So working with her today, I learned how to make sure I used the right buttons, exactly how long it really takes for the Instant Pot to come to pressure (you need more than the 15 minute time you might think! 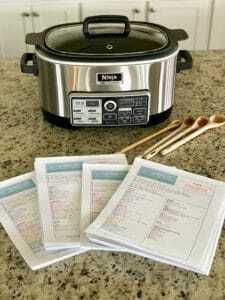 ), and how to safely release the pressure on your Instant Pot. 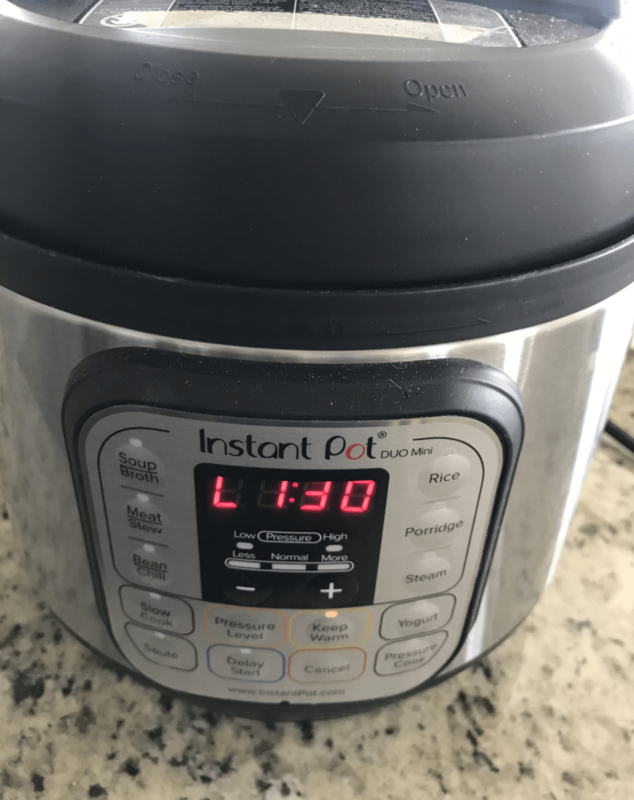 My Instant Pot is now sitting on keep warm, noodles are ready to be added before dinner tonight, and I'm going to try making Tiffany's Instant Pot Mac & Cheese on Monday (I can't even wait ~ my 17 year old will be in heaven!) 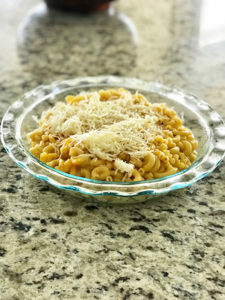 You can find the recipe for the Slow Cooker Parmesan Soup we made this morning in the Instant Pot in the Traditional Plan week of March 26th, and I know you'll love this one. In case you've been on the fence this week about trying out the Eat at Home, don't forget that for a few more days only you can save 25% off the Eat at Home menu plans (which I just love!) with the code COUNTERTOP at checkout. 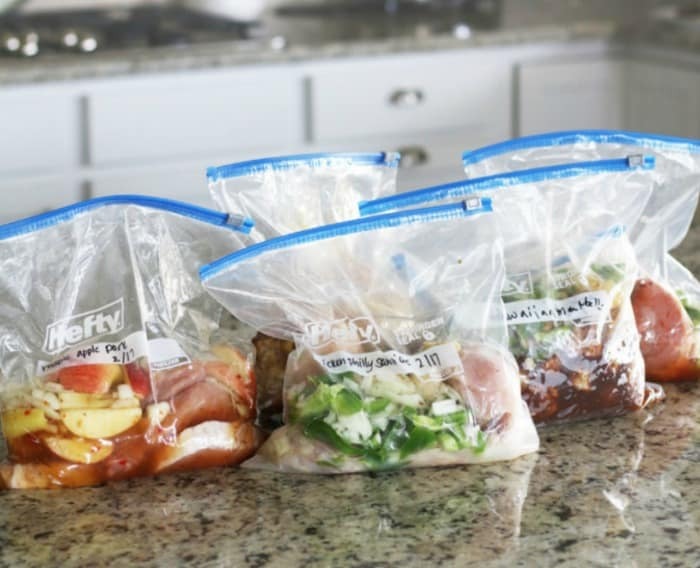 You'll find the link to the freezer labels under the February 19th Slow Cooker Meal Plans when you sign up for Eat at Home! Countertop Cooking Challenge 2018 – Freezer Cooking PJ Party! We had soooooooo much fun in our Freezer Cooking PJ party last night ~ I sure hope you joined us and had fun too! 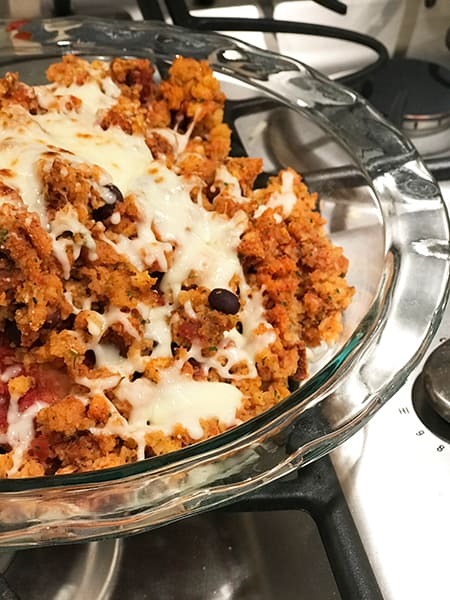 If you've ever thought about trying out freezer cooking, I promise these meals will change your life (and I love that Tiffany includes a set of freezer meals each month in her menu plans!) After doing them over the summer I was completely hooked, and absolutely love how a little bit of prep work makes dinnertime so much easier for me. If you'd like to join me for the challenge this week, I know you will love the meal plans I'm using! And even if you use you own menu plan and grocery list, I'd love for you to join us because I know just having your meals planned will save your family a bundle this week. 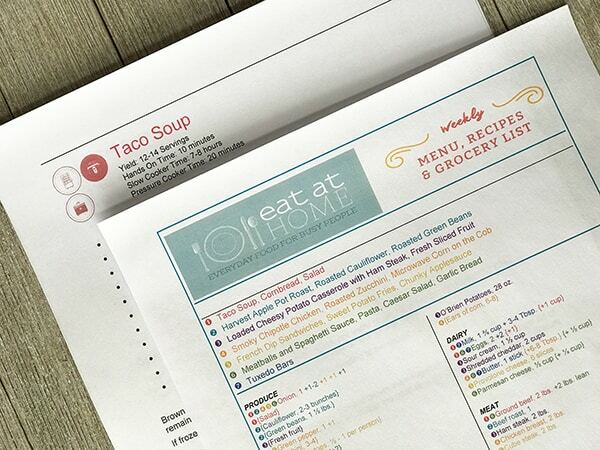 Right now save 25% off the Eat at Home menu plans (which I just love!) when youuse the code COUNTERTOP at checkout. *BONUS* WEDNESDAY 9:PM EASTERN TIME ~ FREEZER COOKING PAJAMA PARTY! 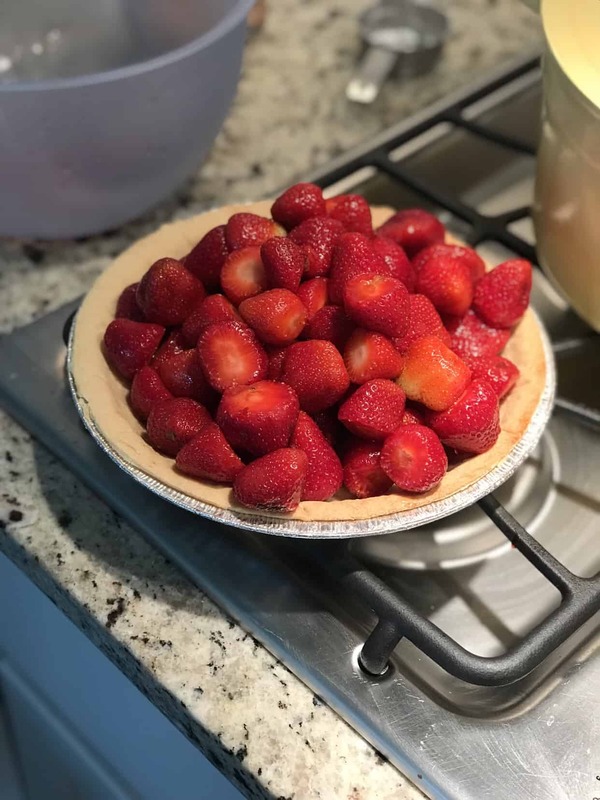 February 28, 2018 by Laurie 1 Comment This post may contain affiliate links, which means if you click on a link and purchase something, I may earn a small commission (at no additional cost to you.) See my disclosure policy HERE. PSST! I'm soooo excited about our PJ FREEZER COOKING PARTY TONIGHT ~ are you joining me? We'll be on FB live at 9PM Eastern Time ~ here are the details if you need them! To follow along with the meals I’m making . ..
Join me at 9PM Eastern Time right over HERE~ I can't wait!! If you missed today's Facebook live, check it out HERE. 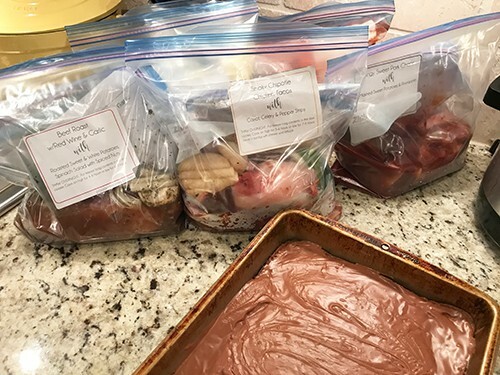 And, don't forget that to make things even a wee bit more fun, Wednesday night we're throwing in a fun Freezer Cooking Pajama Party that I'll host over on Facebook, so you can come join us there too. I seriously need to do a Countertop Cooking Challenge every single week in our home! Last night my hubby got home late from work (and kids were all heading different directions), but it was so nice to easily be able to feed everyone a decent meal when they were home. It takes so little time when someone else does all the planning for you, and dinner was so good! 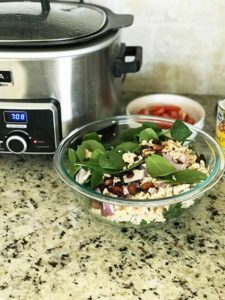 I can't even wait to try out tonight's Slow Cooker Black Bean and Salsa Chicken (my house smells divine), and just love that dinner is done. February 26, 2018 by Laurie Leave a Comment This post may contain affiliate links, which means if you click on a link and purchase something, I may earn a small commission (at no additional cost to you.) See my disclosure policy HERE. I'm so excited to have dinner done today! My home smells amazing, I just had the yummiest salad for lunch, and I even have 2 loads of laundry tackled for the day. 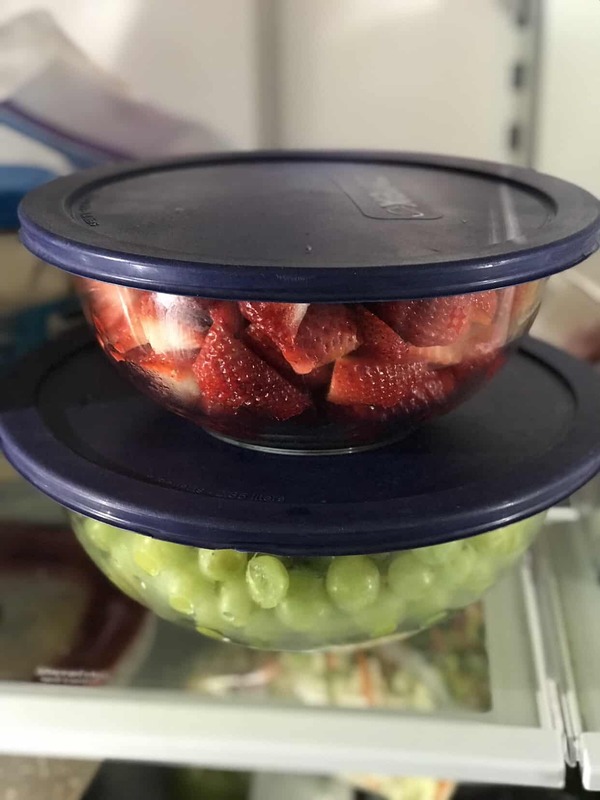 I don't know what laundry has to do with menu planning, but for me it seems like if I get a good handle on meals in our home, every single other thing just gets done too. Whew! 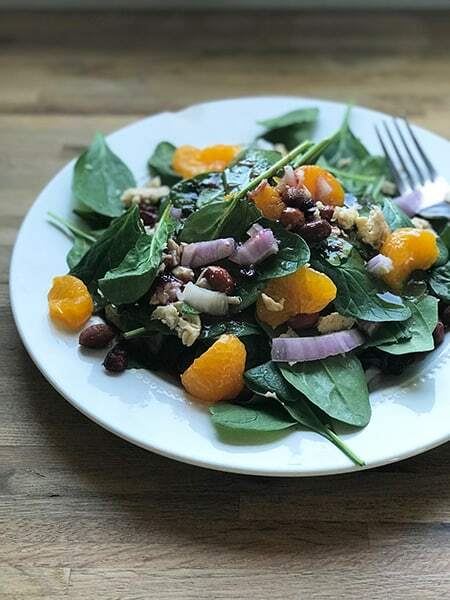 This salad is from the February 5th No Sugar No Flour menus – it's the Eat at Home Cranberry Spinach Salad and ohhhhh so good! February 25, 2018 by Laurie 7 Comments This post may contain affiliate links, which means if you click on a link and purchase something, I may earn a small commission (at no additional cost to you.) See my disclosure policy HERE. Just a reminder that our challenge starts tomorrow morning ~ I can't wait and hope you're joining me too! Starting Monday, 2/26/18, I'm teaming up with my friend Tiffany from Eat at Home Cooks to bring you Crockpot and Instant Pot recipes for, and every single one of us is going to get dinner done. During the February 2018 Countertop Cooking Challenge I'll be cooking with you for a whole week including grocery lists and menu plans, and Tiffany and I will be cooking them up each day right up with you. My favorite part is that each morning I'll share a Facebook Live Video filling up Mrs. Potts (a.k.a. 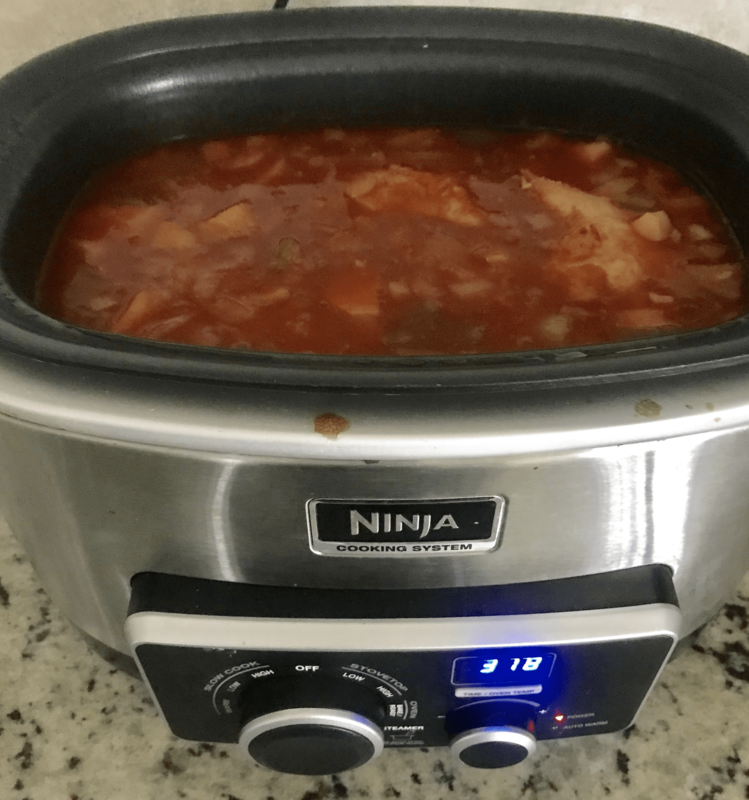 ~ my slow cooker), and it would be so stinkin' fun for me if you were on the other side of the screen filling up Mrs. Potts in your kitchen too. For just today, Tiffany is offering us the lowest prices she's offered on her menu plans 30% off with the code EARLYBIRD at checkout. February 23, 2018 by Laurie 2 Comments This post may contain affiliate links, which means if you click on a link and purchase something, I may earn a small commission (at no additional cost to you.) See my disclosure policy HERE. I'm so excited about our challenge starting next week ~ and promise this will save you a bundle! 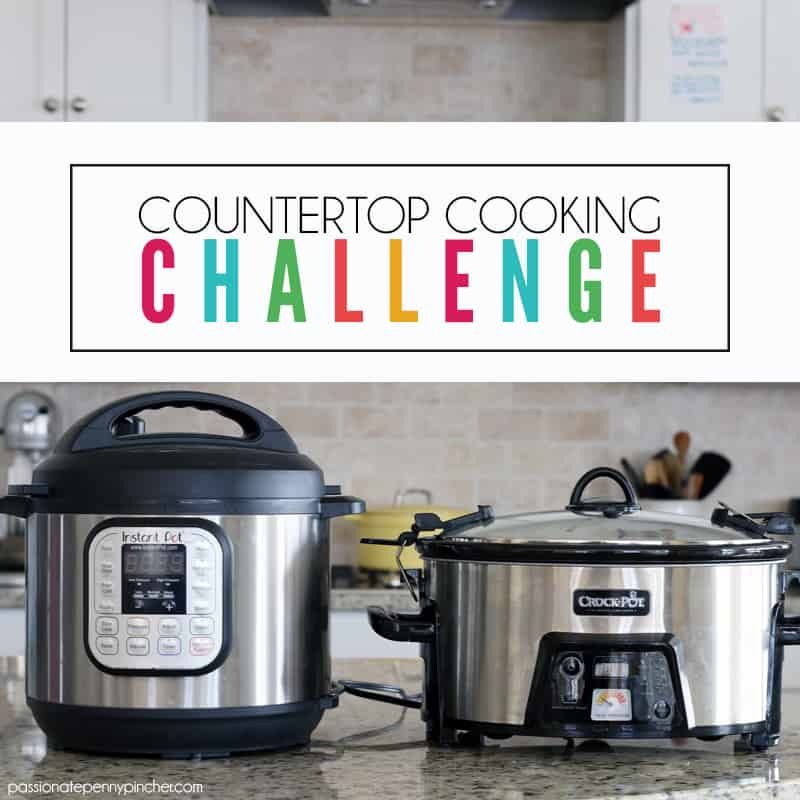 Starting Monday, February 26th and through March 2nd, we're joining with my friend Tiffany from Eat at Home Cooks for our Countertop Cooking Challenge. And, to make things even a wee bit more fun, Wednesday night we're throwing in a fun Freezer Cooking Pajama Party that I'll host over on Facebook, so you can come join in the fun there too! To prepare for all that craziness, I spent an hour this morning cleaning out my pantry (yikes.) and between the grocery lists and menu plans I'm using along with a tidied up kitchen, I feel like it's going to be so fun to get dinner done this week. 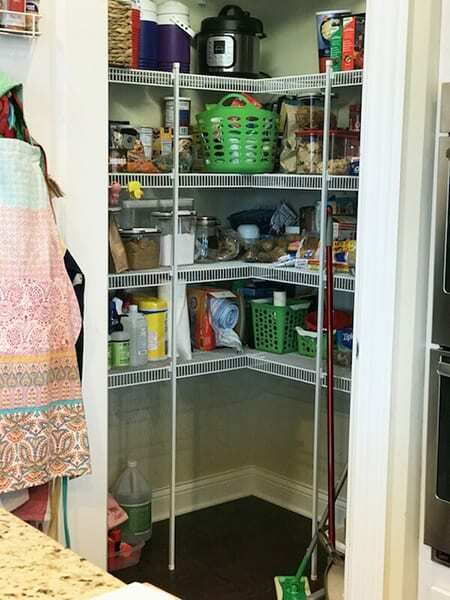 Before and after of my pantry. EEK! Each morning I'll share a Facebook Live Video filling up Mrs. Potts (a.k.a. ~ my slow cooker), and it would be so stinkin' fun for me if you were on the other side of the screen filling up Mrs. Potts in your kitchen too. And on Wednesday night, we'll have such fun together in our pjs making 6 meals too! For just today, Tiffany is offering us the lowest prices she's offered on her menu plans 25% off with the code COUNTERTOP at checkout. March 3, 2017 by Laurie Leave a Comment This post may contain affiliate links, which means if you click on a link and purchase something, I may earn a small commission (at no additional cost to you.) See my disclosure policy HERE. 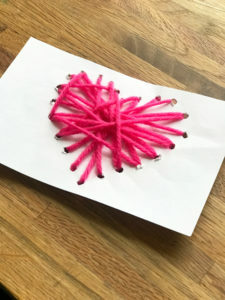 Go HERE to see video with comments on Facebook – I love reading through your tips and suggestions! Do you need to get dinner DONE? 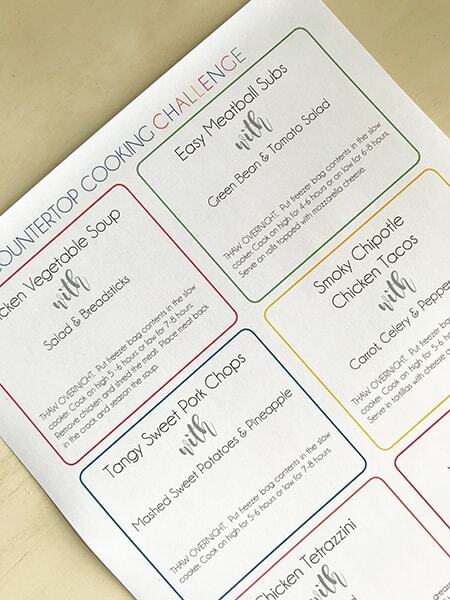 Today's the last day of our 20 Days of Countertop Cooking Challenge . . . I'm a little sad because I've enjoyed cooking with you s0 much! Because I'm all organized over here (ahem.) I even have all my menu plans all put together in a binder . . . Here's what we made today . . . 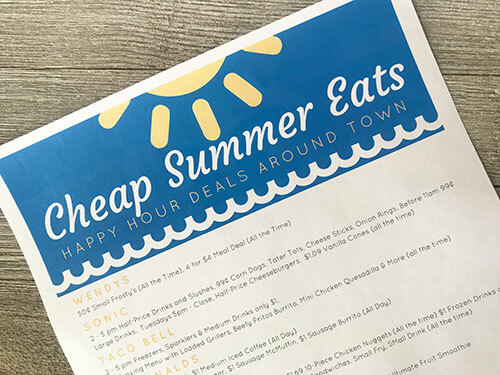 I TOTALLY believe you will save that much every week at the grocery store (and a bunch more by skipping the drive-thru) by trying these menus out. Our family used the whole foods option last month and we're using the slow cooker option this month, and goodness, they've making getting dinner done EASY. 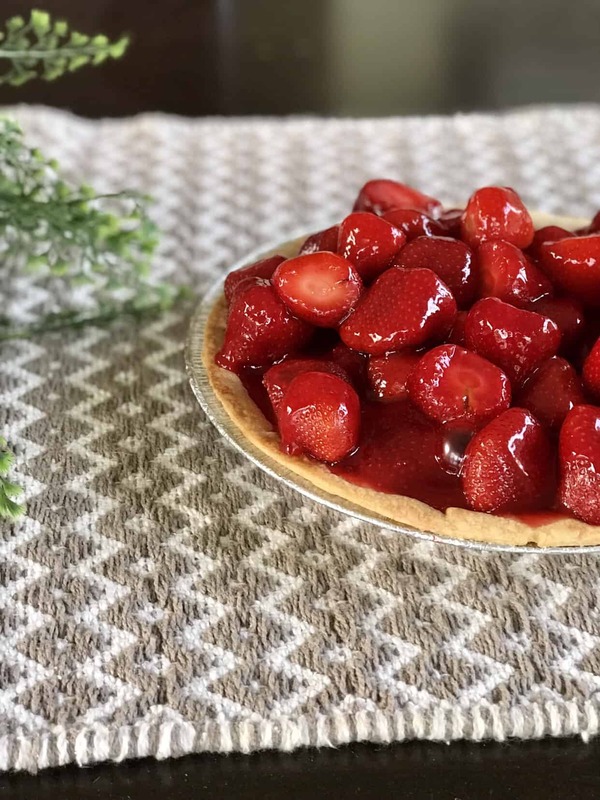 If you're interested, head on over HERE and download your menu plans, and be sure to use the code COUNTERTOP at checkout to get the best price. I really think this is the best money you'll spend all year, and promise it'll be so worth it for you. Here's a peek at previous days in case you're curious . . .
P.S. 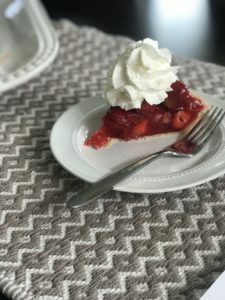 Please know that I 100% believe you can make your own grocery list and menu plan for free without paying for something like this, but for our family, the convenience of something like this for less than the cost of a cookbook has been worth every penny. 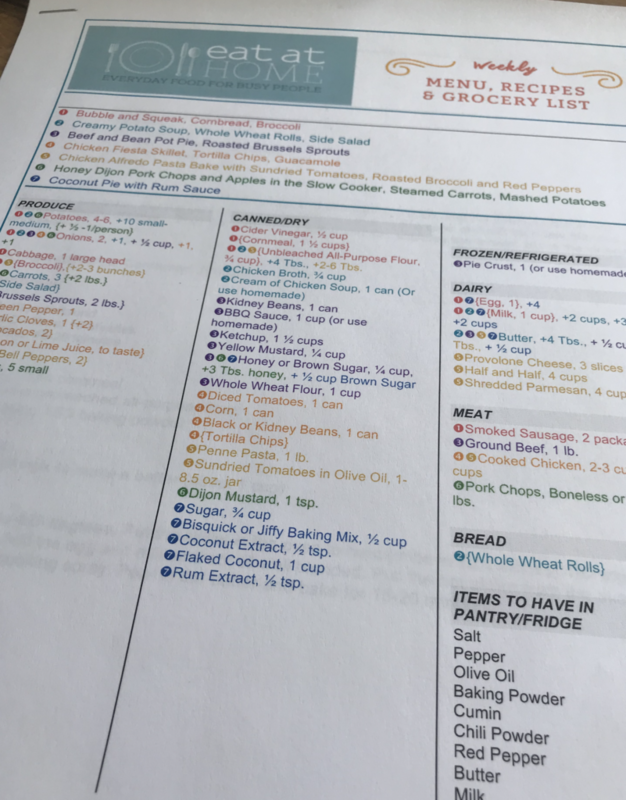 If you're making a menu plan and grocery list on your own I'm so proud of you and just love that option too! Looking for more ways to have dinner on the table? Be sure to sign up for my totally free Crocktober Cookbook with menu plan and grocery list. And don't forget to join our free Dinner's Done Facebook group to get tons of support and encouragement as we all get dinner done. March 2, 2017 by Laurie Leave a Comment This post may contain affiliate links, which means if you click on a link and purchase something, I may earn a small commission (at no additional cost to you.) See my disclosure policy HERE. I can't even tell you how thankful I am to have dinner done today! And because I'm all organized over here (ahem.) I even have all my menu plans all put together in a binder . . .
March 1, 2017 by Laurie Leave a Comment This post may contain affiliate links, which means if you click on a link and purchase something, I may earn a small commission (at no additional cost to you.) See my disclosure policy HERE. I ran around all morning to doctor appointments, and am just now sitting back down to my computer but Mrs. Potts is hard at work and our kitchen smells fantastic. 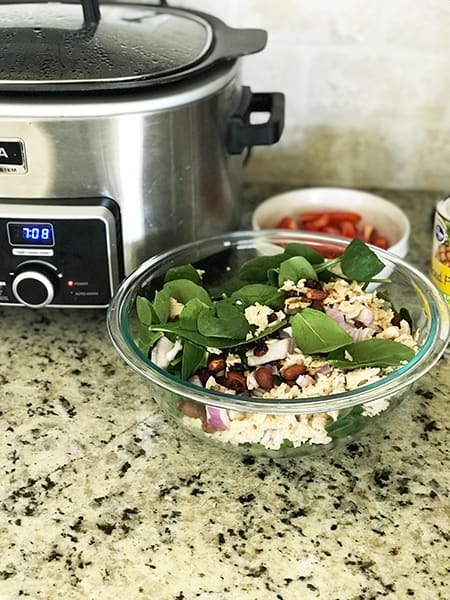 Tonight we'll have the slow cooker thai peanut chicken served over rice along with a side salad, and goodness, what a relief to know that even during a crazy busy day that tiny part is completely taken care of. February 28, 2017 by Laurie 2 Comments This post may contain affiliate links, which means if you click on a link and purchase something, I may earn a small commission (at no additional cost to you.) See my disclosure policy HERE. Do you have struggle with dinner on the table? Does grocery shopping and menu planning and then actually getting dinner on the table completely overwhelm you each week? 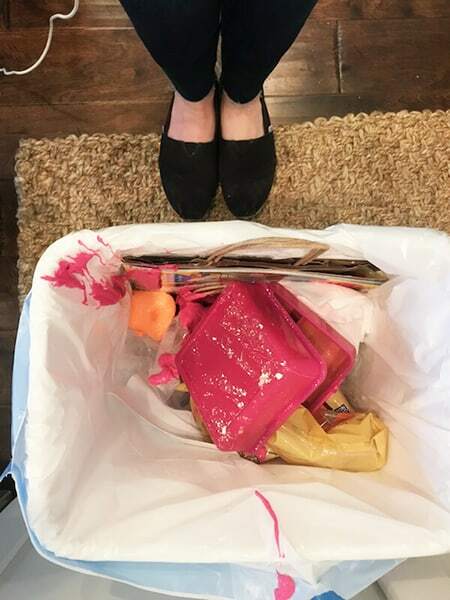 Do you throw food away each week because you didn't really have a plan in place to begin with? Do you spend too many nights going through the drive thru because you just can't get dinner done at home? As I shared last week on Facebook live, I grew up in a home where we ate dinner at McDonald‘s 7 nights a week. The truth is, my mom was a good mom who was trying her very best as a single mom raising 4 kids on her own. But at the end of the day she just didn't have the energy to figure dinner out, so through the drive-thru we'd go. This was me as a junior in high school when I was probably around 190 pounds – it was all I could do not to photoshop this picture to make me look just a little better, but I'm keeping it real here ~ yikes! By age 18 I ballooned up to 225 pounds because I just hadn't learned how to eat correctly, but I'm determined that's not going to happen to your family. The truth is, getting dinner done isn't easy, but I really believe this tool can change how dinner looks in your home. Getting dinner done is so important for so very many reasons, beyond just getting dinner done. 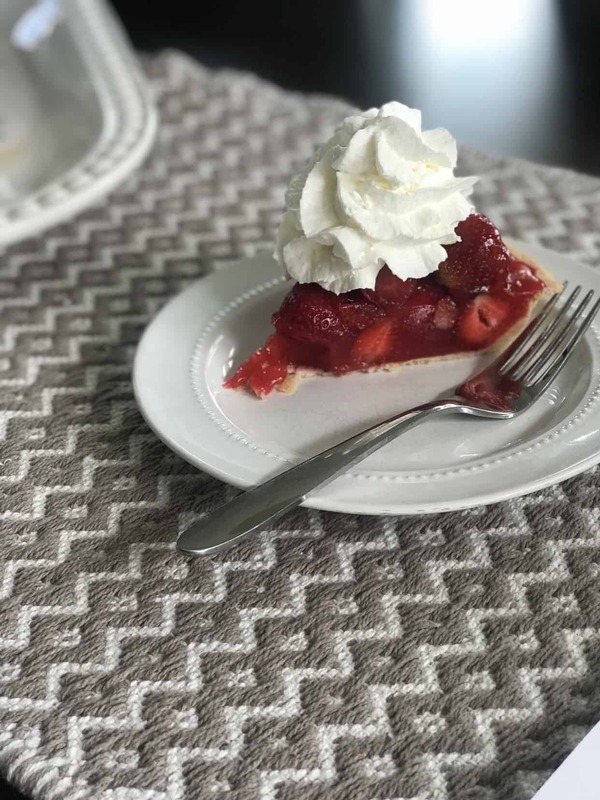 This month as we've done the Countertop Cooking Challenge, I hope you've been encouraged and inspired to get yummy meals on the table for your family. And I love that I can give you the tools my own mom didn't have to easily get dinner done. If you sign up, you'll get access to ALL THREE SETS OF MENU PLANS. You'll get 6 recipes each week for the slow cooker + a dessert. 6 recipes each week full of whole foods options + a dessert. And, you'll ALSO get 6 traditional recipes + a dessert each week to try out. Basically, you'll get SEVENTY TWO FAMILY TESTED RECIPES + 6 DESSERTS + MENU PLANS + GROCERY LISTS for as little as $1.21 per week. And, you'll get both options for either a larger family (5-8) or smaller family (3-4) when you sign up. If you're a busy working mom, I know getting dinner on the table may be more than you feel like can do, but I promise this will help. 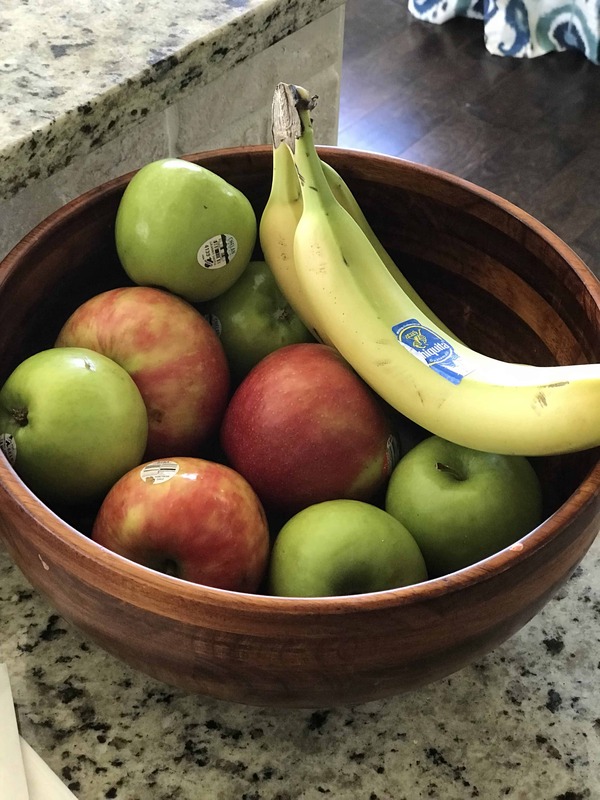 If you've got little ones at home and struggle with enough time to make your grocery list and menu plan, I really think this will make your life easier too. And if you've been cooking for what feels like forever but just need a few new fresh ideas, I really think this might be just for you. February 27, 2017 by Laurie Leave a Comment This post may contain affiliate links, which means if you click on a link and purchase something, I may earn a small commission (at no additional cost to you.) See my disclosure policy HERE. In under 15 minutes each week, complete your menu planning, make your grocery list and enjoy new yummy recipes your family will love. 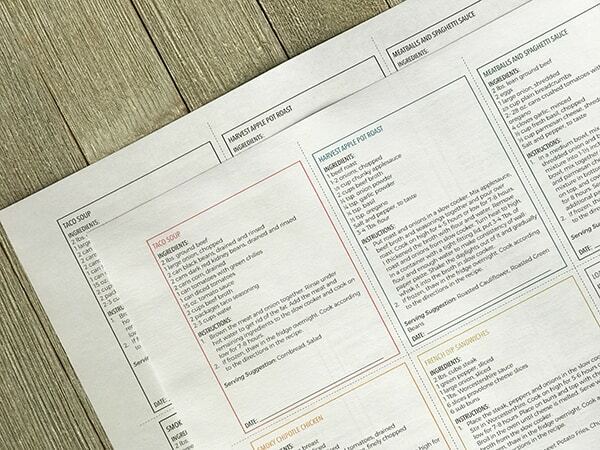 Literally, these menu plans will make your life so easy, and dinner will be on the table, ever single night. Use the code COUNTERTOP at checkout to get the very best price through 2/15/17, and join me as we Eat at Home and transform our budgets this month! I can't even begin to tell you how glad I am to have dinner done today! After a crazy weekend I can't even begin to tell you how glad I was for a little normal life and cooking, and I just loved that getting dinner done was easy today. 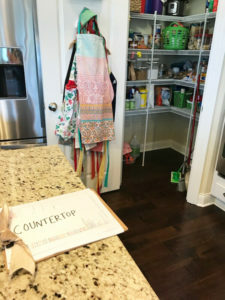 We only have a few more days of our Countertop Cooking Challenge, but I hope it's encouraged you to tackle getting dinner on the table each night, and made meal planning easier in your home. 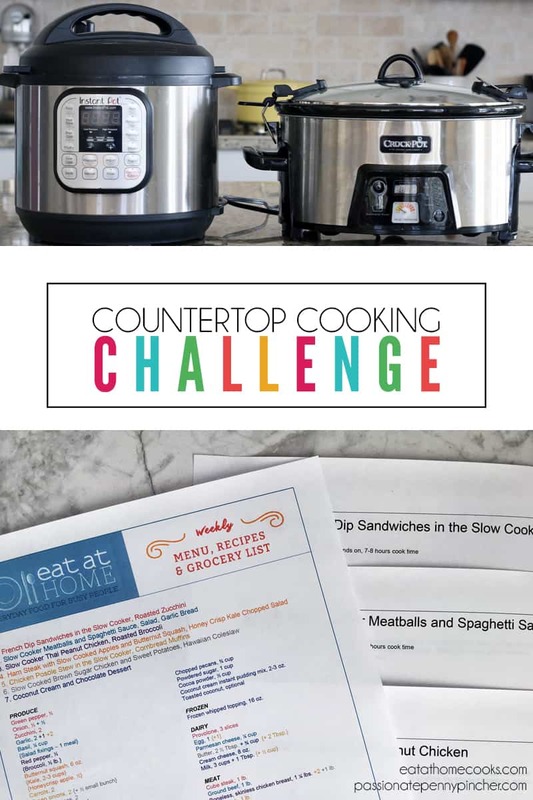 If you struggle with meal planning, grocery shopping, and getting dinner done, I promise, this Countertop Cooking Challenge might just change your life! The best part? If you sign up for Tiffany's meal plans now, you'll get access to the menu plans for February, AND March too. Use the code COUNTERTOP at checkout to save 25% off her menu plans for a few more days. I've been loving getting dinner done this month, and sure hope you've enjoyed it too. Looking for more ways to have dinner on the table? Be sure to sign up for my totally free Crocktober Cookbook with menu plan and grocery list. And don't forget to join our free Dinner's Done Facebook group to get tons of support and encouragement as we all get dinner done in February. February 24, 2017 by Laurie Leave a Comment This post may contain affiliate links, which means if you click on a link and purchase something, I may earn a small commission (at no additional cost to you.) See my disclosure policy HERE. 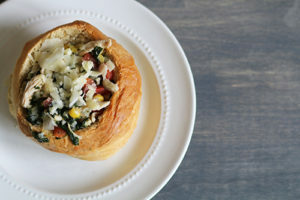 I really never expected to love freezer cooking, but goodness, this week these recipes have been a life saver for me as I've been able to get dinner done so smoothly each morning this week. 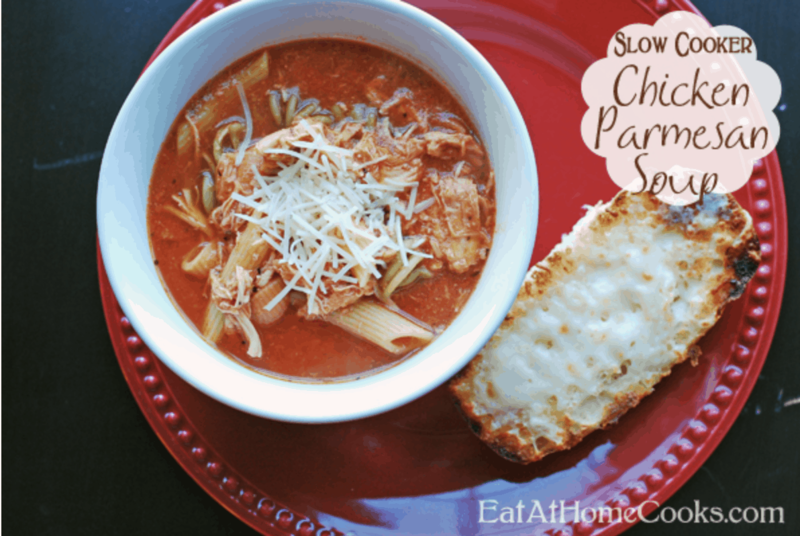 I can't even wait to try the Slow Cooker Chicken Philly Sandwiches (they sound so good!) and doing the prep work ahead of time helped so much. If you're signed up for the Eat at Home Menu Plans, all of the groceries you'll need to join us for this week of Freezer Cooking are in the Week 8 Slow Cooker Menu Plans. And, if you haven't joined us but would like to, use the code COUNTERTOP at checkout to save 25% off her menu plans for a few more days ~ we'll be using them this week and next week, and I know you'll love them too! 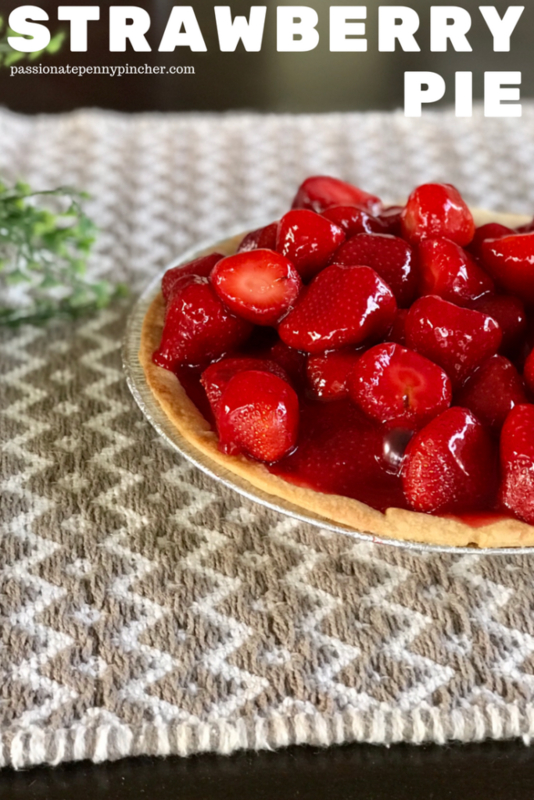 Watch next week for our final week of recipes ~ I'd sure love for you to join me! February 23, 2017 by Laurie Leave a Comment This post may contain affiliate links, which means if you click on a link and purchase something, I may earn a small commission (at no additional cost to you.) See my disclosure policy HERE. 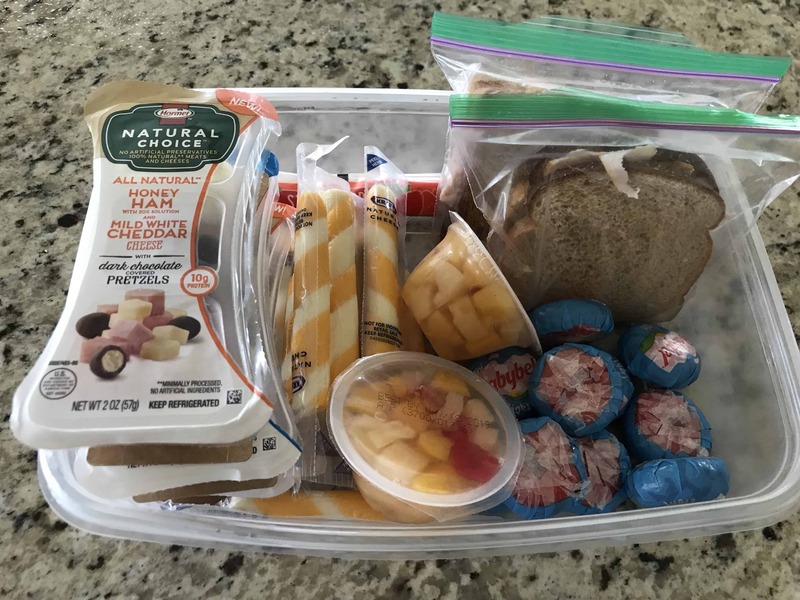 I still have one pretty yucky feeling kiddo at home today, so having these recipes pretty much already prepared for me have made for an amazing week. I literally thawed out the Maple Apple Pork for about 30 minutes on my counter, dumped it in Mrs. Potts, and dinner is done. February 22, 2017 by Laurie Leave a Comment This post may contain affiliate links, which means if you click on a link and purchase something, I may earn a small commission (at no additional cost to you.) See my disclosure policy HERE. I am so excited to have dinner done today! It's my husband's birthday, and I think he's going to love dinner tonight. We made the Chicken and Gravy from yesterday's freezer plans, mashed potatoes in the Instant Pot (which I'm keeping warm in my crockpot), and I'll mix up a salad and steam carrots tonight in the Instant Pot at dinnertime. My husband's birthday cake for tonight, no bake chocolate eclair cake! February 21, 2017 by Laurie Leave a Comment This post may contain affiliate links, which means if you click on a link and purchase something, I may earn a small commission (at no additional cost to you.) See my disclosure policy HERE. I did my first freezer cooking ever today, and goodness gracious, I had no idea it would be that easy! In less than an hour, I have 5 slow cooker meals for my freezer done. All I did was use the Eat at Home Cooks Menu Plan and Grocery List (which made grocery shopping so easy using the Kroger Click List), pre-chopped up my peppers and onions, and I got 5 dinner's done with hardly any work. 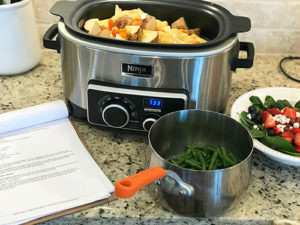 I'm using Week 8 of the Slow Cooker Meal Plans if you've signed up for them, and just can't recommend them highly enough. If you struggle with meal planning, grocery shopping, and getting dinner done, I promise, this might just change your life! My daughter's birthday cake from last night (watch for the recipe tomorrow)! February 20, 2017 by Laurie Leave a Comment This post may contain affiliate links, which means if you click on a link and purchase something, I may earn a small commission (at no additional cost to you.) See my disclosure policy HERE. I am reeling after just getting home from our trip to Deer Valley, Utah last week (we got home yesterday afternoon and goodness, I'm worn out!) But, I am so thankful because thanks to our Countertop Cooking Challenge this month I ordered my groceries online using Kroger's Clicklist Saturday night from our hotel room, and today DINNER IS DONE. I'm also super excited because tomorrow morning I'll try freezer cooking for the first time (I'm so curious if it works! ), and I love that we'll have dinner made for 5 meals in under an hour. Today is my Sweet Caroline's 14th birthday (crazy – when I first started blogging she was just 7 years old! ), so I'm baking a cake for her right now and we made these almost homemade cinnamon rolls for breakfast. February 17, 2017 by Laurie Leave a Comment This post may contain affiliate links, which means if you click on a link and purchase something, I may earn a small commission (at no additional cost to you.) See my disclosure policy HERE. Last night's dinner while on vacation! but … that didn't happen!! Somehow, the main ingredient (boneless skinless chicken breasts) weren't in my fridge, even though we bought them … EEEEeeeekkkkk . . .
We've saved a bundle this month in our pocketbooks and on our waistline by choosing to eat at home. If you're new to the challenge, throughout the month we'll give you 4 weeks of recipes, including grocery lists and menu plans, and Tiffany and I will be cooking them up each day right up with you. Right now,Tiffany is offering us the lowest prices she's offered on her menu plans with the code COUNTERTOP at checkout. And don't forget to join our free Dinner's Done Facebook group to get tons of support and encouragement as we all get dinner done in February. It's going to do be a great month! February 16, 2017 by Laurie Leave a Comment This post may contain affiliate links, which means if you click on a link and purchase something, I may earn a small commission (at no additional cost to you.) See my disclosure policy HERE. In under 15 minutes each week, complete your menu planning, make your grocery list and enjoy new yummy recipes your family will love. Literally, these menu plans will make your life so easy, and dinner will be on the table, ever single night. 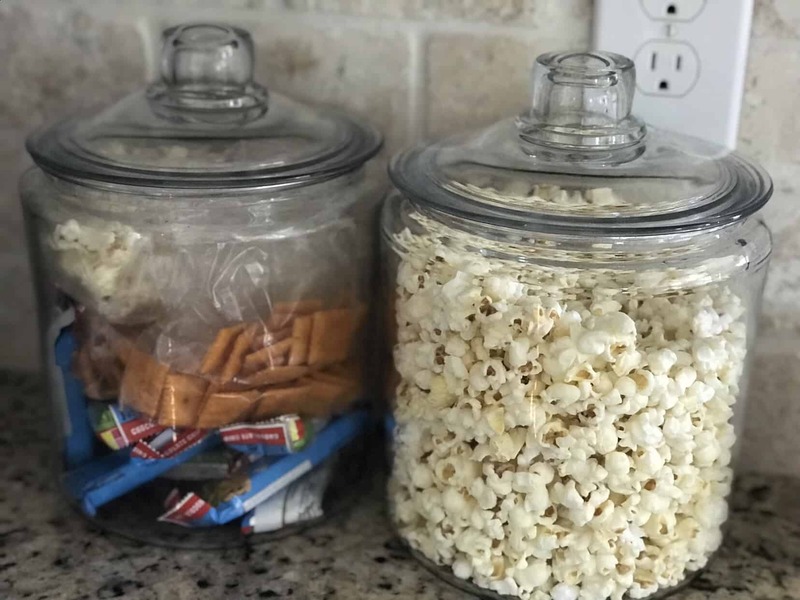 Use the code COUNTERTOP at checkout to get the very best price, and join me as we Eat at Home and transform our budgets this month! EVEN on vacation you can do this! 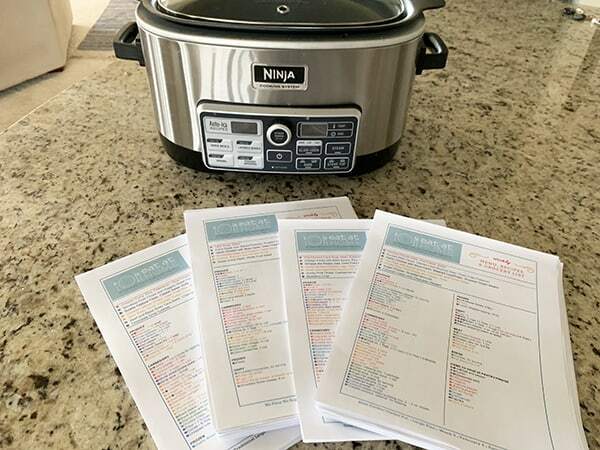 I was thrilled to find a crockpot where we're staying and so thankful for this menu plan to save us oodles of money while we're away!! Seriously folks, dinner is DONE this morning so we can enjoy our day and come home to a hot meal! February 15, 2017 by Laurie Leave a Comment This post may contain affiliate links, which means if you click on a link and purchase something, I may earn a small commission (at no additional cost to you.) See my disclosure policy HERE. Tiffany from Eat at Home Cooks is filling in this morning making Mediterranean Chicken in the slow cooker as part of our 20 Day Cooking Challenge! Seriously folks, dinner in DONE in less than 5 minutes this morning. That means your family will have a hot cooked meal ready for them tonight and you only had to spend 5 minutes getting it ready! And, we've saved a bundle in our pocketbooks and on our waistline by choosing to eat at home. February 14, 2017 by Laurie Leave a Comment This post may contain affiliate links, which means if you click on a link and purchase something, I may earn a small commission (at no additional cost to you.) See my disclosure policy HERE. In less than 3 minutes this morning, dinner was done. February 13, 2017 by Laurie Leave a Comment This post may contain affiliate links, which means if you click on a link and purchase something, I may earn a small commission (at no additional cost to you.) See my disclosure policy HERE. In less than 5 minutes this morning, dinner was done. February 10, 2017 by Laurie 1 Comment This post may contain affiliate links, which means if you click on a link and purchase something, I may earn a small commission (at no additional cost to you.) See my disclosure policy HERE. In under 15 minutes each week, complete your menu planning, make your grocery list and enjoy new yummy recipes your family will love. Literally, these menu plans will make your life so easy, and dinner will be on the table, ever single night. Use the code EARLYBIRD at checkout to get the very best price through 2/10/17, and join me as we Eat at Home and transform our budgets this month! Through TODAY ONLY (2/10/17), Tiffany is offering us the lowest prices she's offered on her menu plans with the code EARLYBIRD at checkout. February 9, 2017 by Laurie Leave a Comment This post may contain affiliate links, which means if you click on a link and purchase something, I may earn a small commission (at no additional cost to you.) See my disclosure policy HERE. Through THIS FRIDAY ONLY (2/10/17), Tiffany is offering us the lowest prices she's offered on her menu plans with the code EARLYBIRD at checkout. February 7, 2017 by Laurie Leave a Comment This post may contain affiliate links, which means if you click on a link and purchase something, I may earn a small commission (at no additional cost to you.) See my disclosure policy HERE. It's Day 2 of our Countertop Cooking Challenge, and oh my gracious, I am just loving this! 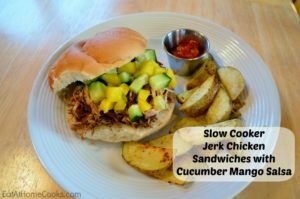 Last night our family had these Slow Cooker Jerk Chicken Sandwiches with Cucumber Mango Salsa (which Mr. PPP even packed for leftovers at work), and today Mrs. Potts is all loaded up again with Round Steak with Vegetable Gravy. And, because I'm feeling like a rockstar over here I've also got homemade bread in my bread machine + green beans ready to go in the Instant Pot. 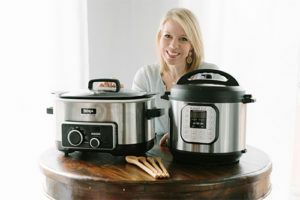 I'm teaming up with my friend Tiffany from Eat at Home Cooks to bring you Crockpot and Instant Pot recipes 5 days a week for 4 weeks, and every single one of us is going to get dinner done. February 6, 2017 by Laurie 1 Comment This post may contain affiliate links, which means if you click on a link and purchase something, I may earn a small commission (at no additional cost to you.) See my disclosure policy HERE. See video with comments on Facebook over HERE ~ I loved reading your suggestions and tips! Starting today, I'm teaming up with my friend Tiffany from Eat at Home Cooks to bring you Crockpot and Instant Pot recipes 5 days a week for 4 weeks, and every single one of us is going to get dinner done. Today we're making Tiffany's Slow Cooker Jerk Chicken Sandwiches (my kitchen already smells divine! ), and I'll serve them tonight with sweet potato fries, carrot sticks and grapes. And, if you happen to have an Instant Pot, Tiffany will be making her Round Steak with vegetable gravy at 3PM Eastern Time on Facebook as well, so you'll have oodles of new recipes to make. 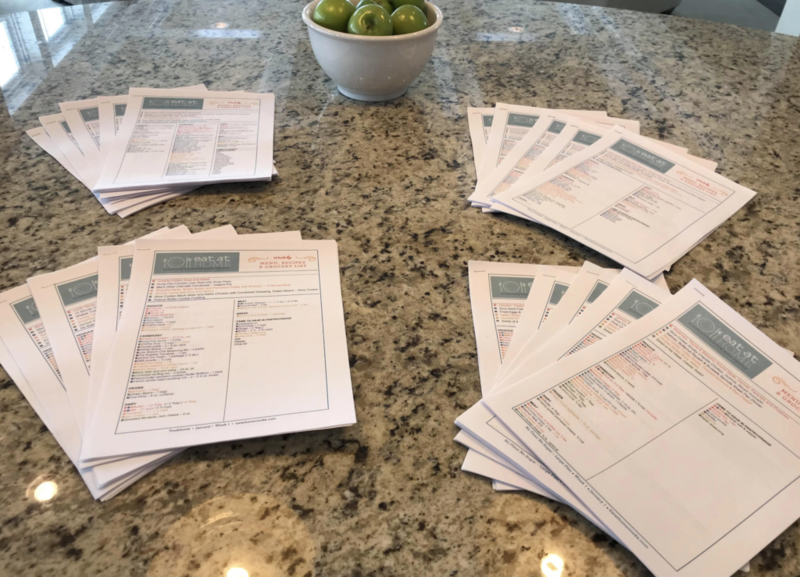 During the February 2017 Countertop Cooking Challenge we'll give you 4 weeks of recipes, including grocery lists and menu plans, and Tiffany and I will be cooking them up each day right up with you. For a few more days, Tiffany is offering us the lowest prices she's offered on her menu plans with the code EARLYBIRD at checkout. February 4, 2017 by Laurie 5 Comments This post may contain affiliate links, which means if you click on a link and purchase something, I may earn a small commission (at no additional cost to you.) See my disclosure policy HERE. Crocktober wrapped up last fall, and back by popular demand we're doing a very similar series this February called the Countertop Cooking Challenge. (I think you're going to love it!) We're going to have a menu plan, grocery list, and recipes all pulled together before the week even starts. 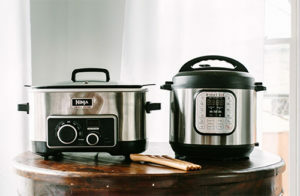 Starting Monday, 2/6/17, I'm teaming up with my friend Tiffany from Eat at Home Cooks to bring you Crockpot and Instant Pot recipes 5 days a week for 4 weeks, and every single one of us is going to get dinner done. October 3, 2016 by Laurie 6 Comments This post may contain affiliate links, which means if you click on a link and purchase something, I may earn a small commission (at no additional cost to you.) See my disclosure policy HERE. I'm so excited to have dinner done already today! See how easy it is to pop dinner in Mrs. Potts (definitely check us out on Facebook Live as well where you can check out reader's comments ~ I love hearing from you! ), and join me as we cook real food for our family all month long this Crock-tober.